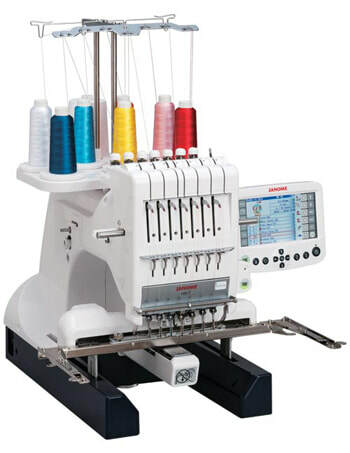 Single function embroidery machines will embroider any properly formatted design from a USB stick and are only limited in design size by the dimension of the hoop. Look for desired hoop sizes when choosing a machine. Other features that make the job easier are more options in the editing function and of course multiple needles. Combination sewing and embroidery machines are ideal if work space is limited and one desires to sew, quilt and embroider. If creating your own designs is your goal, then a Janome digitizer is the ideal software with unlimited potential.